Summer is the season full of sea adventures, sunny mood and beach holidays. 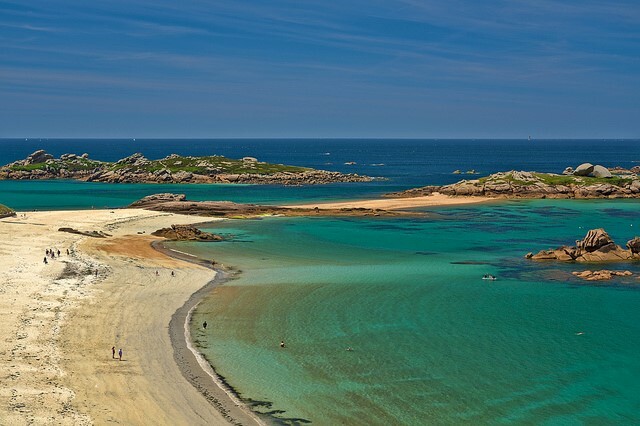 Thanks to the good location, France boasts of a huge number of beaches for any taste! The best beaches of France are concentrated not only on the Cote d’Azur of the Mediterranean Sea – there are also excellent relaxing spots on the Atlantic coast of the Bay of Biscay and even the English Channel offers beautiful pebble and sandy beaches for your ideal summer vacation. Being a part of St-Trojan-les-Bains commune in the Poitou-Charentes region, Oleron Island is very popular among tourists due to the long coastline with sandy beaches, sea dunes and pine forests adjoining to the shores. Kilometers of clean beaches of this part of the coast stretch along the south-western territory of France. During low tide the beaches are suitable even for playing football, and high tide hours are ideal for fast surfing. 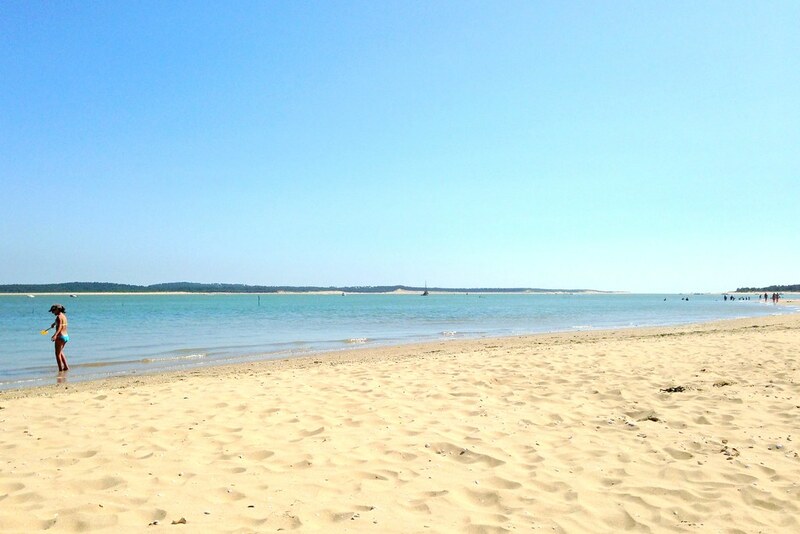 Plage de Gatseau is situated 185 km away from Bordeaux, and with the help of International Supplier car rental in France you can reach it quickly and effortlessly. Oleron Island is a very intimate place – it’s quiet and its cozy places for recreation offer beautiful views of the separation channel between the mainland and island land. You’ll find there charming campgrounds located just in a pine forest. Thus, we recommend staying in one of these delightful types of housing – they are cheap and very romantic. On the shores of Oleron, there are as many as two campsites – Campings Indigo Oléron les Pins and Campings Indigo Oléron les Chênes Vert. A night stay in a tent under the pines will cost 54 Euros/2 persons. 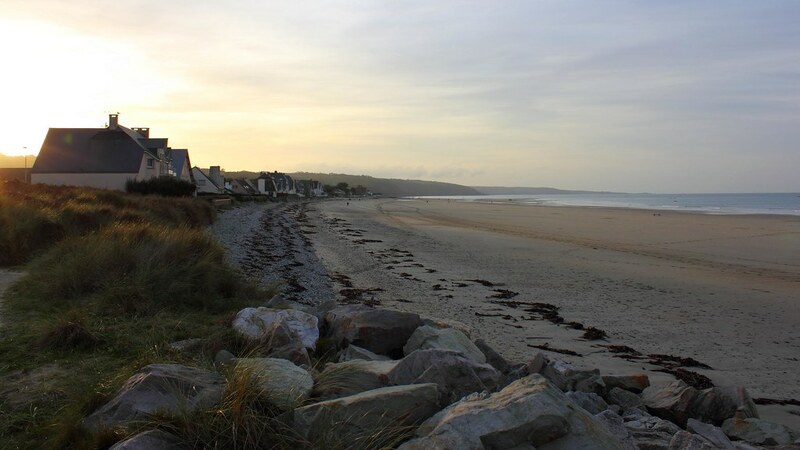 The small French village of Urville-Nacqueville is located about 10 km away from the coastal Atlantic city of Cherbourg in Normandy and offers simply idyllic sunbathing areas covered with white sand. The best beaches of this area are located to the west of the village, at a distance of several kilometers from the city’s ferry port. 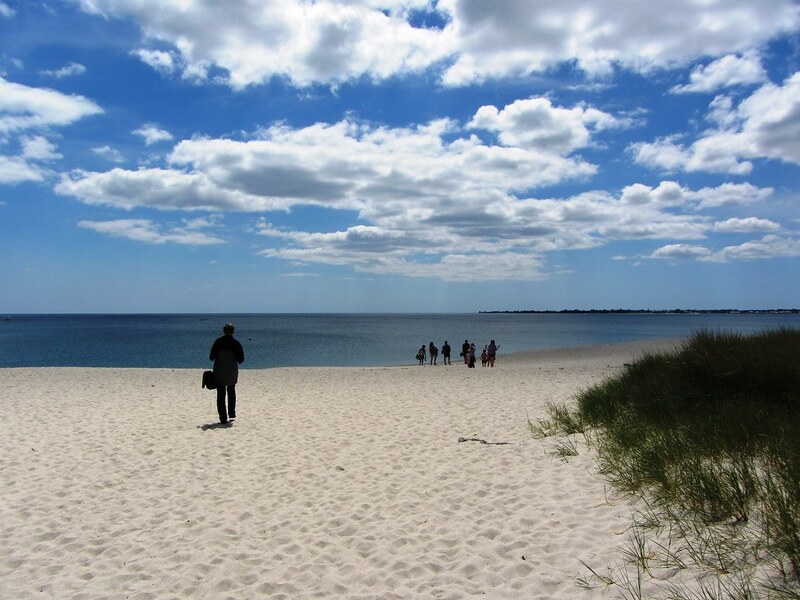 In addition to sunbathing, you can enjoy plenty of a fair wind, competing with the waves in surfing, windsurfing, yachting, and also dive in the depths of the sea, ride horses and dine in one of the coastal restaurants of the Cotentin peninsula. We offer to stay at recently renovated Landemer Hotel, which once accommodated Claude Monet and Edith Piaf, as well as the famous writer Francoise Sagan. The price of a double room starts from 150 Euros. The hotel’s restaurant is included into the list of the best places presented in the Michelin Guide. Sainte-Marine is a small port village, which can be easily found if you cross the Odet River by ferry from the famous Benodet city. One of the best beaches in France looks like a beautiful crescent covered with the finest sand. You can stay for a holiday at Villa Tri Men – an ancient luxury hotel-restaurant located above the waterfront. The price for a double room is about 250 Euros. If you like pristine beaches, then try to find the 4-kilometer-long la Plage du Teven beach situated just within ten minutes’ walk from the villa, which is a little higher than the Odet River. The unusual alabaster coastal cliffs of the commune and small town of Etretat are considered to be the most picturesque place on the northern coast of French Normandy. The name of the city with a population of just 1.6 thousand people leads from ancient Scandinavian legends. Its best beach is located on the coast of the English Channel – the gulf that separates the Atlantic coast of France and England. It’s covered with perfectly polished sea pebbles, on which it’s pleasant to walk barefoot. 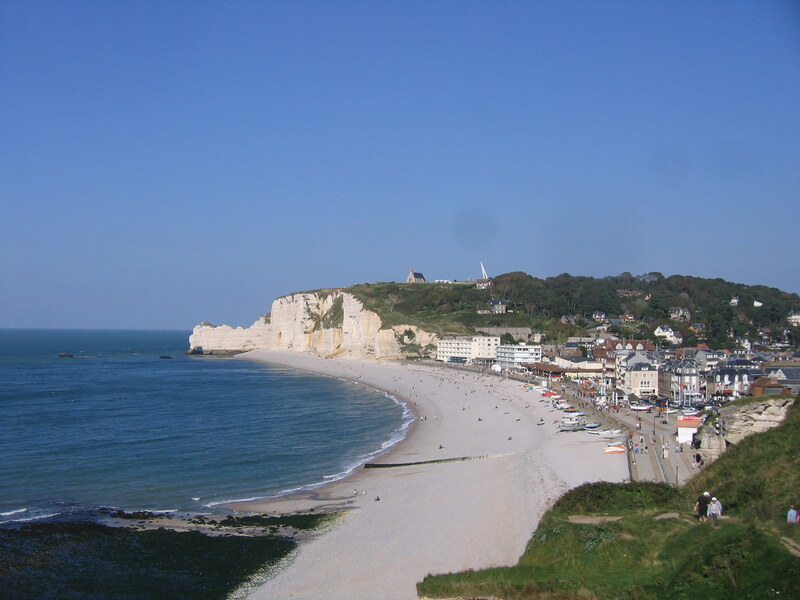 Etretat features an excellent golf club, the fields of which are located just above the sea. Some travelers prefer another popular type of local sports called paddle boarding – a surfing with a paddle. Domaine Saint-Clair Hotel – located in a luxurious Anglo-Norman castle. It features expensive furnishing and is decorated with rich textiles. The price for a double room is 160 Euros. Détective Hôtel, the price of a double room is from 76 Euros. The southern coast of the English Channel, the famous Côte de Granit Rose is an excellent place for a family beach holiday. The natural landscapes of this area of ​​the French coast are a mixture of golden-sandy beaches, coastal capes overlooking the sea, fragrant forests and heather groves. All this riot of nature is decorated with pink granite boulders scattered all over the place. The tiny town of Tregastel is surrounded by one of the largest and most beautiful beaches, which is amazingly illuminated by the light of the evening sun, so that even sophisticated connoisseurs of such sunsets claim that the spectacle is simply incredible! We recommend to stay in a cozy coastal hotel Le Beau Séjour, the interiors of which are decorated in a pleasant nautical style. For breakfast, you will be offered fragrant crispy buns of own production, and in the evening fresh oysters will be served in the terrace. The accommodation price for a double room is from 86 Euros.